The Jaguar XE is a new offering on the US shores but despite that Jaguar already launched a small update at the LA Auto Show. The 2017 Jaguar XE comes with a couple of new engines, new price points as well as slight changes on the exterior. These are meant to make it a more competitive machine and considering how good it already looked we have no doubt that they will manage to do just that. Despite being the smallest model in the range, the XE comes with all the bells and whistles of a true sports car so it is based on an aluminum rear wheel drive platform which is lighter and more rigid than a steel one. On top of that, an all wheel drive system is available as an option and for the first time ever on the US market, the car will come with a diesel. The prices have been adjusted as well so the base XE 25t will come at $34,900 while the diesel version of the car will start at $36,400. The top of the range model will start at a heftier $41,700 which is still well under the price of its closer competitors. 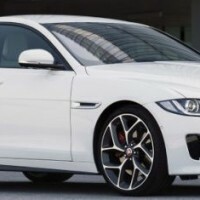 However, the XE will get this price only when it will become available for sale in the early 2016. 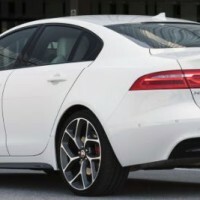 The design of the 2017 Jaguar XE changed only slightly so only a trained eye will see the differences. The base model will now get new exhaust tips as well as the LED daytime running lights while the top of the range model will get a new front bumper with the deletion of the old fog-lamps in the favor of a pair of LED ones. The designs of the wheels will also change slightly, especially for the diesel model which will get its own unique set. The interior on the other hand remained pretty much the same to the one of the ongoing model. This doesn’t mean it is bad. In fact, it is one of the better interiors of its class being built out of nice materials and the comfort offered to its passengers being quite nice. The car will offer as standard climate control, a premium audio system, a large touch-screen in the center console which will actually be upgradable to a 10,2 inch LCD panel as well as a surround audio system. While the passengers only get an average amount of space, it is actually more than its direct competitor, the BMW 3 Series, is offering. The trunk is also average and the four wheel drive model will offer even less but that is a trade that most people will have to live with. 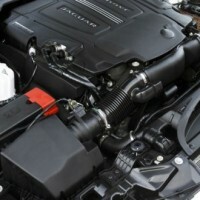 Engine wise, the 2017 Jaguar XE will offer three engines instead of the two of the current model. 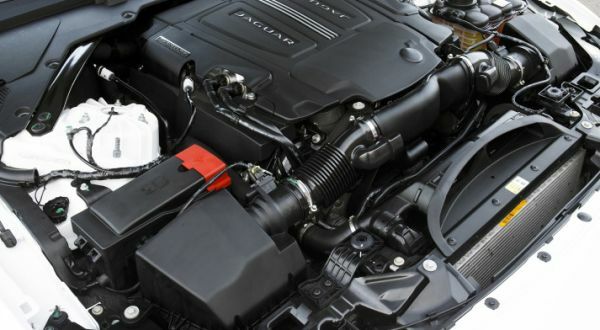 The base model will stick with the current Ingenium-family 2 liter turbocharged inline 4 petrol engine which is good for 240 horsepower and 251 lb-ft of torque while the top of the range model will remain the 3 liter supercharged V6 good for 340 horsepower and 332 lb-ft of torque. The biggest surprise, especially for the US market, is the 2 liter turbocharged diesel engine which is good for 180 horsepower and 311 lb-ft of torque. This not only feels fast thanks to that massive amount of torque but it is also one of the most fuel efficient engines on the market with an expected average of more than 35 MPG! All of them will only come with an 8 speed automatic and rear wheel drive as standard but both petrol engines will also be available with a torque on-demand system which will send to the front wheels power when the car needs it.